Home / GFK / online money / online payment / Two reasons why you need to use mobile payments. 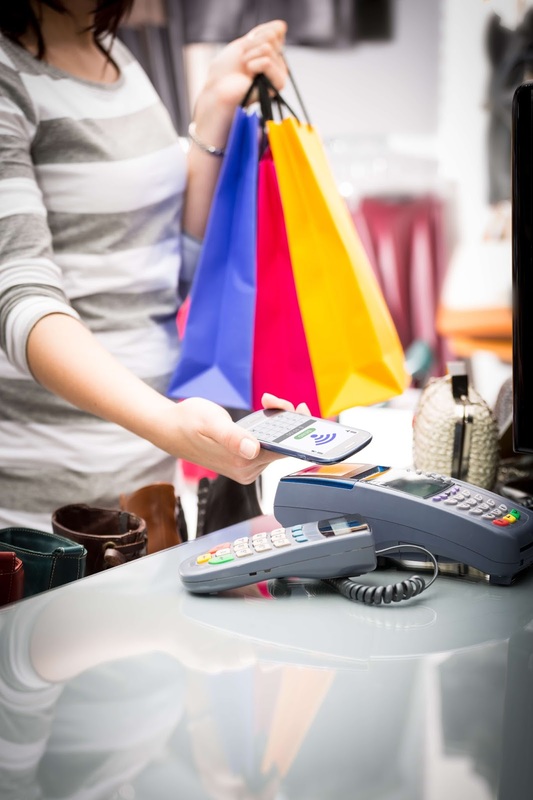 Two reasons why you need to use mobile payments. Eight years ago, Starbucks developed its own app for mobile payments. Today, it’s still held up as the gold standard in the United States. In Asia’s rapidly developing market, where mobile payment is eight to nine years ahead of the West, things are quite different. In China, you can mobile pay for everything from a cab to a mojito or utility bill. In 2015, WeChat registered more financial transactions in one day than PayPal did during the entire 12 months. In Indonesia, the most populous country in the region with 250 million people, most of the big traditional retailers are unveiling e-commerce plans of their own. In a recent GfK study: The Connected Asian Consumer, consumers in Singapore and Indonesia also reported fairly high usage incidence of shopping apps (37 and 35 percent respectively). This growth is fuelled by affordable smartphones, a massive young and tech-savvy population and efforts by governments and telco operators to expand and improve high-speed wireless networks. The future has never been clearer. It’s only a matter of time before mobile payment goes mainstream. Unfortunately for traditional retailers, the age of the e-commerce has also produced a new consumer – we like to call them the ‘Connected Consumer’ – and their behaviours are shaping the future of retail. In the GfK 2016 FutureBuy survey of 20,000 consumers in 20 markets, it was found that Photo Credit: GfK Asia shoppers are becoming less loyal to any one retailer. Almost half (46%) of all consumers (14-65 year olds) stated they were less loyal when shopping. This figure rises among the youngest consumers to 53% of Gen Y (18-29 years), and six in 10 (58%) of Gen Z (14-17 years). For retailers who understand the Connected Consumer, there are opportunities to stay ahead of the competition – and mobile payments are a huge part of it. Despite becoming less loyal, many Connected Consumers expect an omnichanel shopping experience when they interact with a brand. Connected Consumers in APAC seek the best of both worlds. For example, shoppers in China are the most likely to embrace omnichannel shopping – seven in 10 (71%) shop both online and in-store while Australian shoppers are the most likely to shun online: almost two thirds (62%) shop exclusively in-store. In contrast, Indians lead the way in online shopping with almost one quarter (23%) shopping the category exclusively online. Therefore it is important for retailers to understand the new reality of the omnichannel consumer, and know that the ‘whatever, whenever’ culture demands that user experience is seamless across all devices. If retailers don’t understand this, customers will simply delete their app and move on. We predict that mobile payment could halt the current trend for a decline in shopper loyalty. It makes sense, really. There are numerous benefits for shoppers: avoiding queues, centralising loyalty rewards, checking stock, ordering ahead, enjoying customised offers and easy price comparison. At the same time, using customer and data analytics, retailers can receive customer data to offer more personalised services. In turn, this presents an opportunity to generate long-term relationships. However, it is important to note that not all Connected Consumers are the same. For example, older consumers aren’t as comfortable with sharing personal information as younger consumers. Understanding the shopper’s purchase journey is easier these days with research intelligence offering detailed information on the route shoppers take when making a purchase, and ways in which online and offline touchpoints influence their decisions. We believe that brands that understand, respect and protect consumers’ individual boundaries will deserve the loyalty they earn by doing so. As mobile payments continue to grow in APAC, businesses in various sectors such as financial services, cybersecurity and telco stand to gain and can evolve to support the changing landscape. For example, for telco operators, engaging with retail merchants and partners can help strengthen the overall service ecosystem to provide better end user experiences for consumers. Additionally, the design and development of payments services can also be integrated with other emerging technologies and competencies to offer differentiation to target audiences. Loyalty is great, but to really retain customers in today’s omnichannel space, shopping experience is equally important. To Connected Consumers, simplicity and convenience is paramount. Not only do they expect everything quickly, they also lose their patience faster. For large retailers, mobile payment offers the opportunity to segment and target consumers much more effectively with highly personalized offers and incentives. Discounts and offers can be integrated into mobile payment, replacing the need for physical coupons and entering information into a terminal. Connected Consumers will wave goodbye to the traditional checkout queue and benefit from a wealth of customized rewards. Mobile payment also offers a chance for small retailers to move into a new era of retailing. Freed from high transaction fees and with new ways to connect with consumers, small retailers can now embark on the kind of personalization and targeting that is usually the privilege of larger players. With e-commerce here to stay, there is plenty of potential for retail businesses to leverage research intelligence to adequately design and develop strategies to target this group of consumers. Essentially, the key to success is to fully understand shopper behaviour and be led by what consumers ultimately want, without being blinded by what the technology can do.